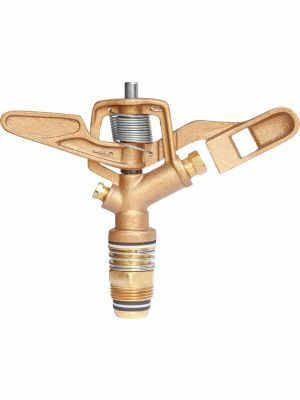 1" Part Circle Brass Impact Sprinkler 23° - 9/32" x 1/8"
For commercial agriculture. Flow: 3.1-13.9 GPM, Radius: 33.8-59 feet, Pressure: 30-85 PSI. Built for higher pressure & longer life. 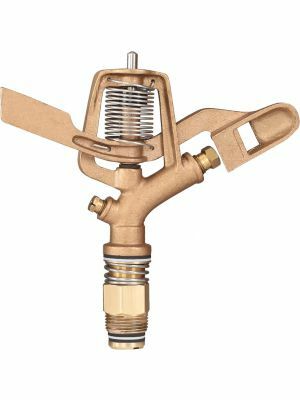 Durable bronze body & arm. Heavy-duty brass nut & tube. Stainless steel spring & pin. Features excellent uniformity, long-lasting dependability, and is made for commercial agriculture. 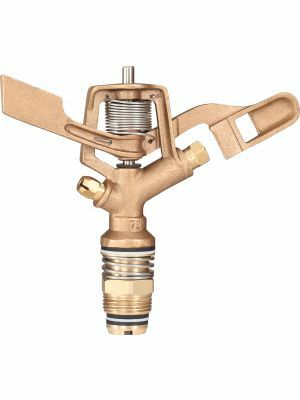 You're reviewing:3/4" Heavy Duty Brass Impact Sprinkler 27° - 11/64" x 1/8"